Trade-in your "Bucket List" for a "Liv List"! 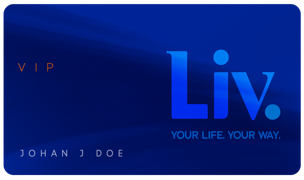 Billion $$ Company Launches Global Lifestyle Community! A new invite-only, global lifestyle community for passionate people, who seek unlimited possibilities for a life worth remembering. Liv. offers its members exclusive access to uniquely curated and unforgettable experiences that connect and enrich lives around the world, while offering an array of premier benefits and perks designed to enhance daily living. Start for just $9 per month! YES, I'd like more information!